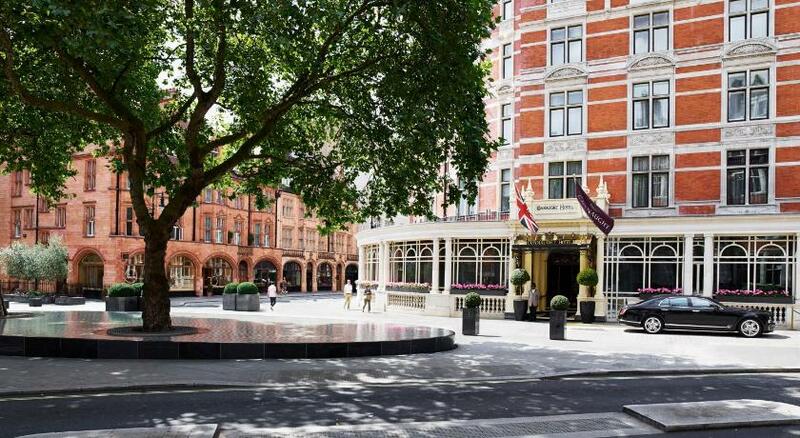 The Connaught is a stunning 5-star option located in Carlos Place in the heart of Mayfair. A thorougly modern affair just a few minutes from Bond Street tube station and Hyde Park. Discretion might be the better part of valour, but it provides the basis of the entire Mayfair experience. There’s little that’s loud, brash or lary about this or any property around Berkeley Square and Grosvenor, so if the promise of high-jinx is what brought you to London you might be better off in nearby Soho at gaffs like the Sanctum Hotel – which is a pure Hedonistic treat. The Connaught, on the otherhand, is a quiet Edwardian charmer and sits a in a discreet location with views across Carlos Place and the spectacular ‘Tadao Ando’ water feature on Mount Street. The stunning mahogany staircase, the judicious choice of paintings and the smattering of classic antiques and curious provide a distinguished country-house atmosphere. The London hotel's 33 beautifully designed guest-rooms combine traditional opulence and the practicalities of life in the 21st Century. Perks include luxury Italian linen, delightful cashmere throws and all the unfussy symmetry of Adam-style interiors. The fresh flowers, mini-bar and complimentary shoe-shine also add something a little bit special. A state-of-the-art health and beauty spa called ‘Annan’ on site. Facilities include a 60-metre indoor swimming pool and a spa with a cascading granite water wall. The Annan won ‘Best Spa 2013' in London's Mayfair Awards. Dine in any one of the Connaught's Michelin-starred restaurants including the Hélène Darroze and the brasserie-style Espelette. Gordon Ramsay's celebrated protégée, Angela Harnett is just one of the chefs involved.